Dealer wholesale trading levels for properly graded sight-seen coins. Dealer wholesale trading levels for properly graded sight-unseen PCGS graded�coins. Dealer wholesale trading levels for properly graded sight-unseen NGC graded�coins. Dealer asking prices somewhat over wholesale�prices. Fair Market Value prices for�coins graded with a CAC�sticker. Fair Market Value prices for�coins graded with the Plus�(+) designation. The NEW NumisMedia Photo Gallery has some of the finest examples of dates and varieties from many series within NumisMedia Price Guides. Additional images are added to the database weekly. Click on coin photos or the accompanying links for articles, charts and price�comparisons. NumisMedia presents Wholesale Dealer Prices representing dealer trading levels for properly graded sight-seen coins. 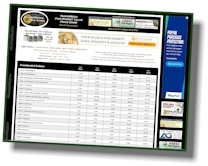 Subscribers to the Dealer Price Guides will receive our Weekly Wholesale Market Dealer Price Guides and access to all of our Online and Mobile Price Guides: Market, FMV, PCGS, NGC, CAC, & Plus�+. The Classic HD has grades from Fine through MS68 in every U.S. series in the higher denominations: Halves, Dollars, Gold, and Commemoratives. The Classic LD has grades from Fine through MS68 in every U.S. series in the lower denominations: Half Cents through Quarters. The Moderns Edition has grades from AU50 through MS70 in every Modern series. The prices listed within the NumisMedia FMV Price Guide represent our Fair Market Value determination for a properly graded coin within each category. The pricing information we report comes from all over the numismatic market including many reliable dealers known for their unbiased market knowledge and information. The NumisMedia Online Fair Market Value Price Guide (all grades, Good through MS70) is FREE to all visitors and does not require a password. Subscribers to our Monthly FMV Price Guide also get online access to the Plus and CAC Price Guides. NumisMedia Price Guides are constantly changing and updated daily. The NumisMedia Monthly FMV Price Guide has 36�pages of VF through MS68 listings of the most recent Fair Market Value prices for coins offered by dealers in the numismatic community. Online-Only Dealer Subscribers will get full access to all of our Online and Mobile Price Guides: Market, FMV, PCGS, NGC, CAC, & Plus�+. The pricing information we report, representing dealer trading levels for properly graded sight-seen coins, comes from all over the numismatic market, from reliable dealers known for their unbiased market knowledge. Dealer subscribers are a part of our numismatic community, responsible for assisting us in our never-ending pursuit to report real market prices. NumisMedia is now presenting Dealer Market Prices for Type Coins available within the Market Value Index. This section is comprised of the most traded generic/common date mint state and proof type coins, grades Good through MS70/PR70 (where available). 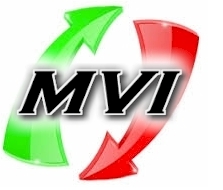 The Market Value Index (MVI) is formulated using series type prices from available grades. Values and changes represent a general direction of the market within the given series. 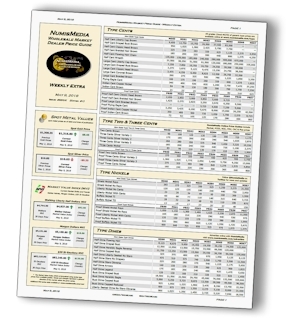 Now included for all NumisMedia Dealer Subscribers and Members, the NumisMedia Weekly Extra Wholesale Dealer Prices, in PDF format only. This comprehensive look into the coin market is our most complete publication yet, and it�s got everything dealers have been asking for. This easiest way to get your copy of the new Weekly Extra is with an Online-Only Dealer Subscription, for as little as $20/month. All NumisMedia Dealer Subscribers and Members will receive the Weekly Extra, in PDF format, every Wednesday, via email, or download from numismedia.com/extra after post. The official auction of the FUN Convention was conducted by Heritage during the middle of January at the Orange County Convention Center in Orlando, Florida. 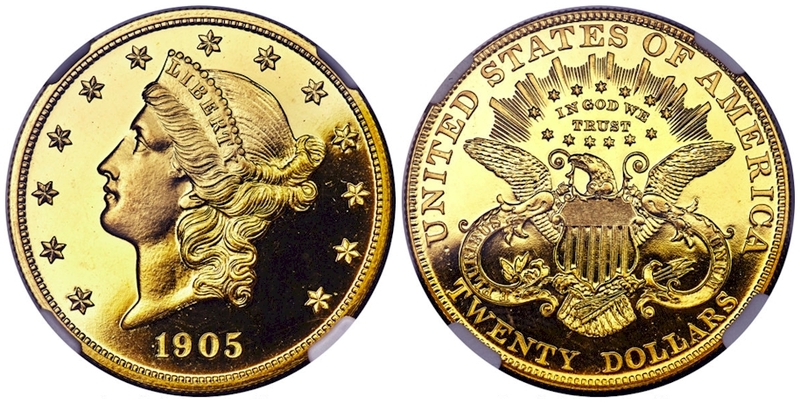 CAC-approved coins brought substantial premiums over coins of the same date, type and certified grade sold at the auction or previously. Here are ten examples among many that could be listed. 1. 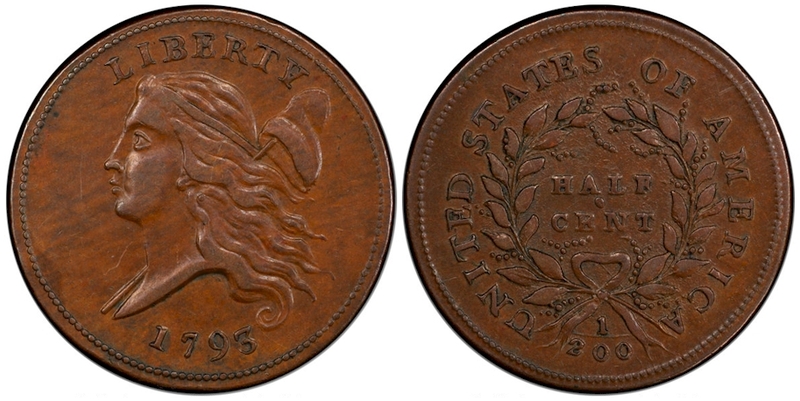 A CAC-approved AU-50 1793 half cent was auctioned for $37,200. A few minutes later, a PCGS-graded AU-50 1793 half cent without a CAC sticker sold for $20,400. The Market Value Index (MVI) and the MVI Top 10 are formulated using series type prices, the most traded generic/common date mint state and proof type coins, from available grades, Good through MS70/PR70. Values�and�changes represent a general direction of the market within the given series. Dealer Subscription or Membership is required.